Join YPT as we explore for the first time one of the biggest countries of Africa – Algeria. Often compared to the rest of French speaking North Africa, Algeria is a jewel for travelers. Contrary to Morocco and Tunisia, most of Algeria hasn’t been exposed to mass tourism yet, making it a very authentic and mysterious experience of the Maghreb. Algeria blends in history from many important periods of the world. From the Roman empire to very contemporary muslim movements going by French imperialism. We will spend our stay there hunting the traces of these eras. This tour provide a real in-depth experience of this enormous country. 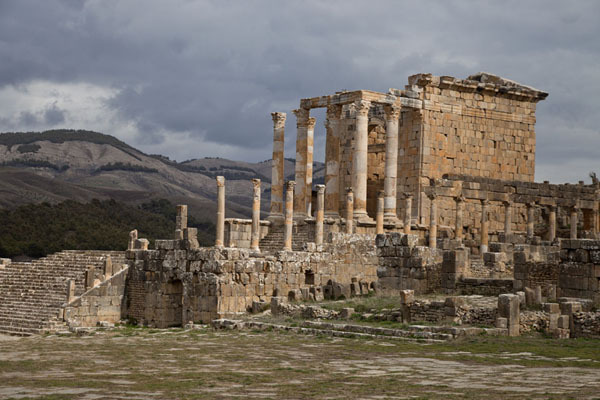 We will be visiting the roman ruins of Djemilla, staying in the visiting the majestic city of bridges of Constantine and hanging out by the oasis of Terghit; with everyday bringing completely different experiences. It wouldn’t be a YPT trip without going completely off the beaten track and this is why we will go visit the refugee camps of the Polisario, or the people of Western Sahara who have left their country hoping to muster their forces to take it back. This tour acts as a wonderful preparation for the second part of our Saharan Odyssey where we visit Western Sahara and Mauritania and is sure to provide lasting memories of the most exciting places of Northern Africa. After dinner we will explore the nightlife of Algiers. After a sustaining breakfast, we head out for a full day tour of the best of Algiers! Our first stop is the Kasbah of Algiers. 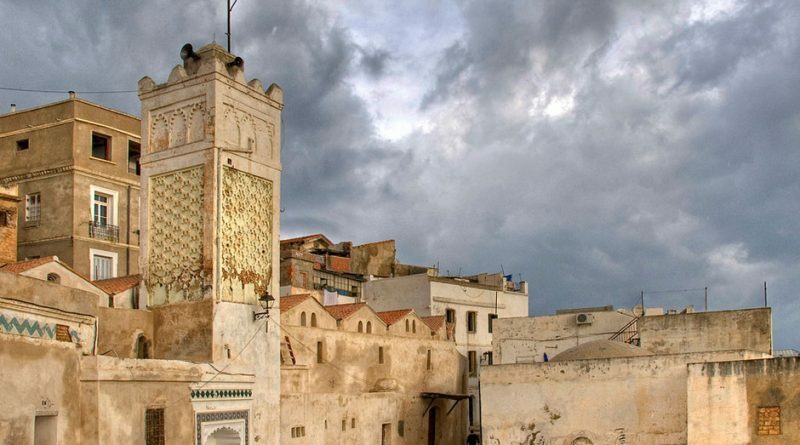 One of the oldest part of the town, the Kasbah is a citadel filled with winding streets. We then head to the Martyr Square. 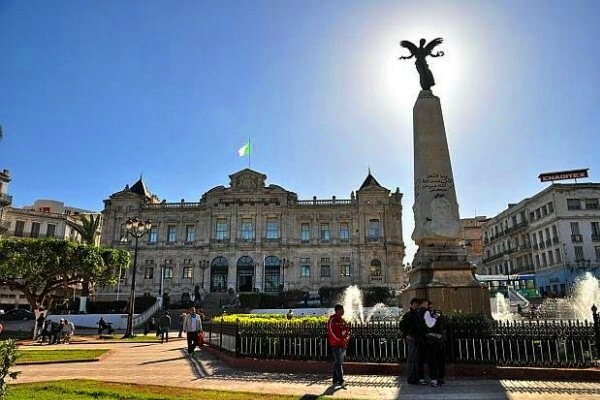 One of the most iconic monument of Algiers, this massive sculpture was erected to commemorate the sacrifice of those who have fought the independence of Algeria. Our next stop is Bastion 23, also known as the Palais des Rais, one of the last standing example of what the Kasbah used to be like and a masterpiece of Moorish architecture. After the independence of Algeria, the palace was occupied by beggars and only reopened as a museum in 1994. We continue our exploration of the Kasbah with Dar Khedaoudj el Amia. Now a museum to art and tradition, this palace was built in 1570 and is a wonderful testament of the past. Our last stop in the Kasbah is the basilica Our Lady of Africa. This church is an important piece of history as it will help us understand the French presence in the times of the colony. We head downtown to walk around, stopping by the Grande Poste or the General Post, an important building during the French period. We have lunch at restaurant Lalla Mina, in a beautifully restored Andalucian-style building, specialized in seafood and traditional Algerian dishes. In the late afternoon, we visit the museum of Antiquities which has artefacts from all over Algeria on display. After our breakfast, we leave Algiers to head towards the ruin of Djemilla on our own minibus. We should arrive by the ruins by noon. The ruins of the city of Djemila, also known as Cuicul, are a must stop on any trip to Algeria. The well preserved ruins are what is left of an ancient Roman colony dating from a hundred year before Jesus Christ. It is known as one of the world’s most beautiful roman ruins and its state of preservation truly allows us to picture what was life like at that time. To understand more about the city, we pay a visit to its museum. We take the long road to the city of Constantine, stopping along the way for many photo opportunities, arriving in the early evening. Dinner in Igherssan Restaurant, from which we will have a great view of Constantine’s famous cliffs and bridges at night. We head out to take the pulse of Constantine’s nightlife. Our day is dedicated to the exploration of Constantine. Referred to as the City of Bridges, it is truly a sight to behold. Here, houses built on cliffs are interconnected with stone bridges, something that seems like taken right out of the Lord of the Rings! We first visit the Palace of Ahmed Bey, where the Algerian military moved in after independence. We visit the ruins of the Antonian roman aqueduct. We then head to Abd Al Hamid Ben Badis. Ben Badis was an important figure of Algeria and was very present during the struggle for Independence. Our guide will be able to give us more information about the man. 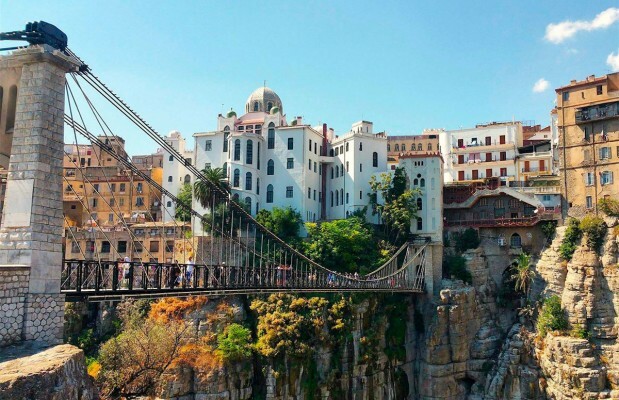 TRIP HIGHLIGHT – A tour of Constantine has to stop by the sidi M’cid Bridge or it isn’t complete. This enormous bridge, a feat of engineering, was the highest bridge in the world until 1925 hanging 125m high above the Rhummel River. 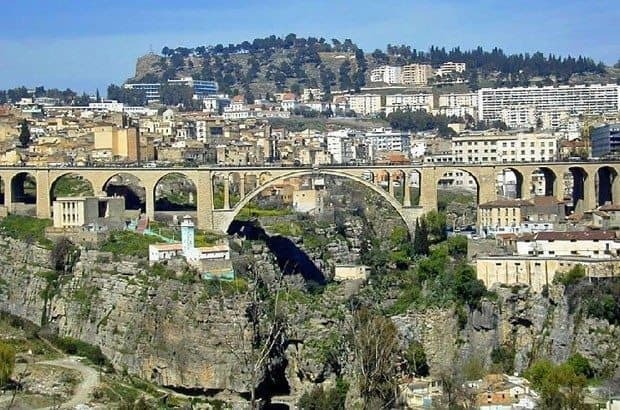 We then head to the second most important bridge of Constantine, Sidi Rached, an impressive viaduct bridge built in 1912. We stop for lunch at the traditional restaurant El Khaima. Our afternoon will be dedicated to the museum of Circa, containing collections of findings from the excavations nearby Constantine. Dinner at a local restaurant with a traditional Algerian performance. We continue our night exploration of Constantine as it is our last night here! We catch a domestic flight to Bechar, very close to the Moroccan border. We leave the airport to head toward Taghit. On the way there, we spot by the site of the rock painting of Taghit, here are found some well-preserved prehistorical paintings dating from 5000 years ago. Taghit is the most well known oasis of Algeria and is renowned for its impressive citadel, which we will explore in-depth! We’re having lunch by the oasis. In the afternoon, we’ll have free time by the oasis market, sipping coffee with the very curious locals, who don’t see foreigners that often! Then, it’s up the biggest sand dune of Algeria in time to witness a sunset which is guaranteed to be one of the prettiest you’ve ever seen! Timimoun is known for the ochre coloured building made in the same style of architecture as the buildings of Djenne or Timbucktu in Mali. We’ll spend the whole day visiting this city very few people have had the chance to visit. We visit a local school in Timimoun and interact with the kids there. Up early for our bus drive to Tindouf, the capital of the Sahrawi Government in exile and home to the camps of the Sahrawi refugees. We can expect many checkpoints as we are entering a sensitive zone. TRIP HIGHLIGHT – We spend the day around Tindouf meeting refugees who will tell us their views about the future of Western Sahara and their impressive life stories. This is a place where very few foreigners get to go and as close as one can go to actual Polisario-controlled Western Sahara. We can expect many surprises! Western Sahara was taken by Morocco during the Green March, a movement where the people of Morocco chased Spain from the zone. Originally, the territory of Western Sahara was to be split between Morocco, Mauritania and the Sahrawi people. To this day, Western Sahara is recognized as a country by 34 African countries but not recognized by the rest of the world. Our afternoon will also be dedicated to going around the camps, meeting the people and their reality at the doorstep of the world’s biggest unrecognized country. Dinner and overnight in Tindouf. We should arrive in Oran after lunch. 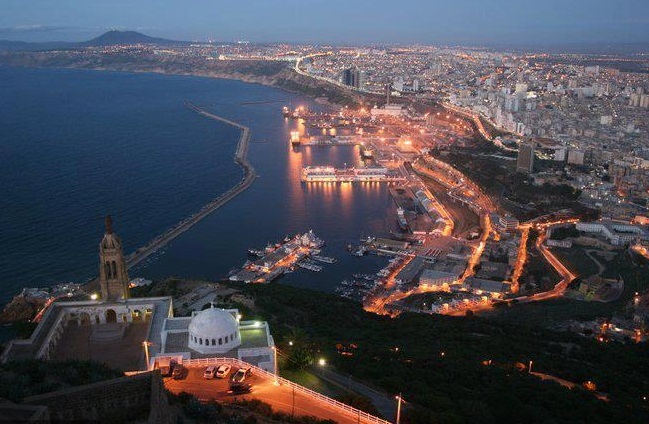 Our first stop in Oran will be Murdjajo, a mount from which we can have an incredible panoramic view of the city by the sea. We then head to the fort of Santa Cruz, it is Oran most iconic sights, with its whitewashed walls overseeing the whole of the town. The fort has changed hands as often as Algeria as changed rulership. Built by the Ottoman, taken by the Spaniards, then the French and finally reclaimed by the Algerians, it is a real testament to the history of Algeria. Inside the fort is a chapel which was built after the town barely survived an epidemic, so we’ll make sure to visit it. We head back down to the city for our dinner. After breakfast, our morning is spent exploring French Oran and the remains of the colony. We’ll head to the Place d’Armes which is ideal for people-watching. The most impressive religious building of Oran is the church of Sacre-Coeur and it is our next stop! If there is one thing the French were good at building around their colonies, it’s Post Offices, and we’ll have plenty of time to check the majestic Grande Poste of Oran. Afterwards, we make our way to the palace of bay Mohamed. It is one of the most exquisite building of Oran, built to honour Mohamed El-Khebir, who wrestled Oran away from the Spaniards. By doing so, Mohamed became an important figure of the resistance against Spain in Algeria. We then head out for lunch at one of Oran’s best restaurants. Overnight in Oran with drinks to celebrate the completion of our tour! End of tour, with YPT able to arrange connections to your next destination! Oran has cheap flights to Paris, London, Madrid and Istanbul, amongst others. Visit Algiers, the unique capital, where the remnants of French colonialism blend in with north African culture.